Let us, with Allah’s blessed name, embark from my Caribbean island-home in Trinidad, for an exclusive ‘southern hemisphere’ Islamic lecture-tour that will commence in February 2007 and end one year later in February 2008. This journey will take us through Venezuela and Argentina in South America, Botswana, South Africa and Zimbabwe in Southern Africa, Bangladesh, Pakistan and Sri Lanka in South Asia, to Malaysia, Indonesia and Singapore in South-East Asia. We will sometimes have to visit the same country twice. At other times, because of unjust war on Isl?m, we will have to cancel visits to countries such as Australia and New Zealand even though there are large numbers of Muslims awaiting us. And at yet other times the host communities in places such as Fiji Islands and India would themselves decide against hosting a lecture-tour out of fear. And finally we will sorrowfully have to postpone visits to countries such as Iran, Yemen and the city of Hong Kong because of time constraint. 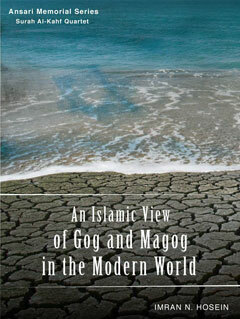 A truly fascinating book! A glimpse into the life of one of the most prominent Islamic scholars of this generation. The book itself is written in a tone with which the reader is a companion accompanying the writer in all his vast travels. 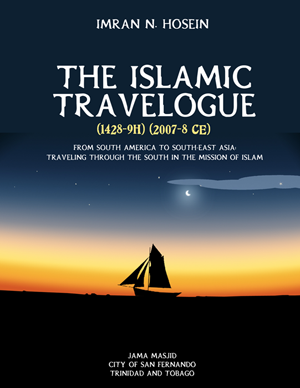 The Sheikh travels across a large part of the world in a short amount of time and provides insights into the uniqueness of the different cultures he visits. He also makes note of the devastating effects of the Petro-dollar monetary system on much of the ‘3rd world’. In approximately one-years time frame the scholar travels to many different countries including: Trinidad, Argentina, South Africa, Bangladesh, Indonesia, and an interesting read on Singapore. A personal insight into the momentary thought of the Sheikh according to different circumstances is given(the loneliness experienced when alone at a hotel, the unfair interrogation at the airport, the warmth of a family reunion, and also a look into many of the topics he teaches in his other books. This book is a must have for all the Sheikhs student, it is unique work from all of his other books in that it is a personal story rather than an academically written educational book. Very highly recommended and a pleasurable read.